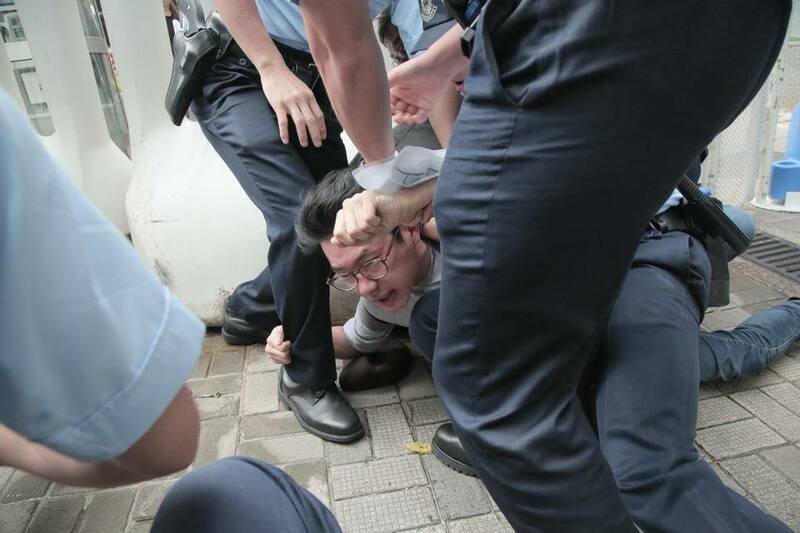 Nathan Law Kwun-chung, chairman of the pro-democracy Demosistō party, was pressed down to the ground by police after he attempted to protest near the motorcade of visiting Chinese state leader Zhang Dejiang. 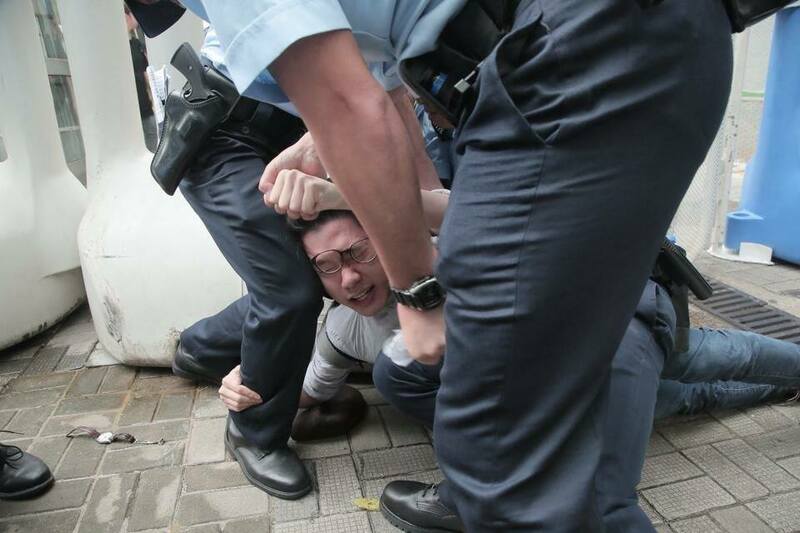 “We expected there would be legal risks… we wished to tear away the fabricated scene of ‘peace and prosperity’, to tell the world that Hong Kong people are still trying to fight for democracy,” he added. 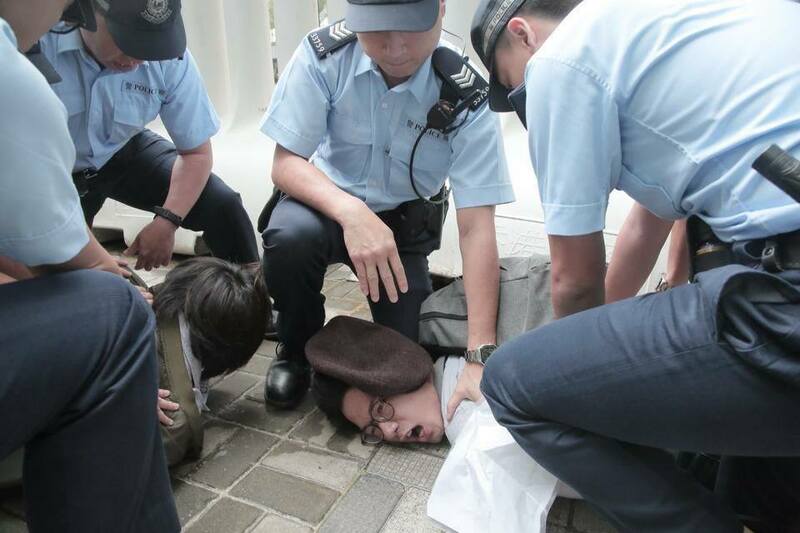 He was accompanied by members of a pro-democracy teaching group, who were released after police officers searched them and recorded their personal details. 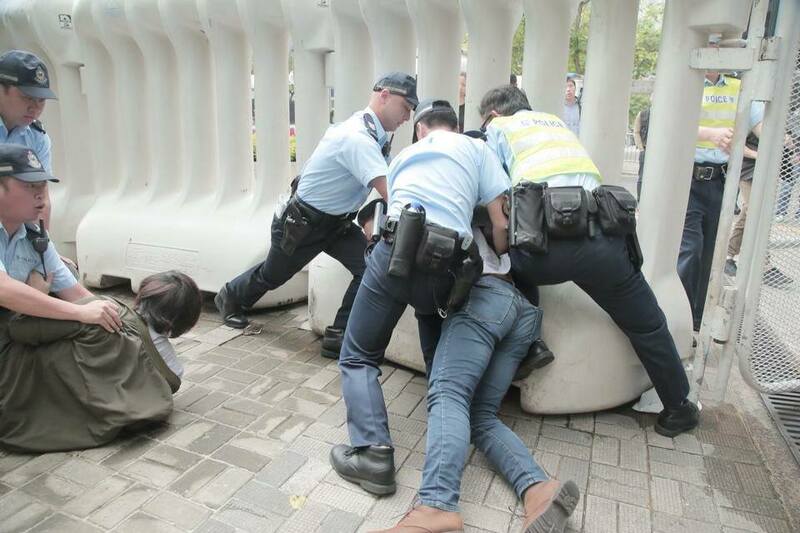 The incident occurred in Wan Chai, close to the Grand Hyatt Hotel where Zhang will be staying, and the Exhibition and Convention Centre where he will attend a summit hosted by the government. The area was fenced off with dozens of water-filled barricades ahead of Zhang’s arrival. 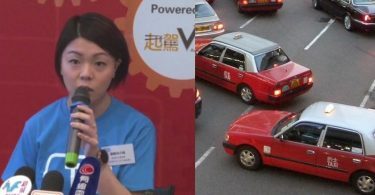 Joshua Wong Chi-fung, secretary-general of the party, also told reporters that he was prevented by some 4o police officers from leaving the Academy for Performing Arts in Wan Chai, when he was stationed to inform other party members of Zhang’s arrival. 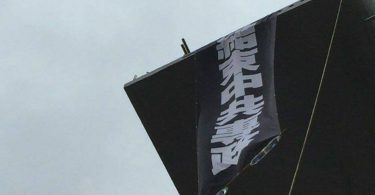 “I asked them if I could move leftwards or rightwards, both were not allowed,” he said, adding that he was not holding anything related to a protest. Zhang arrived in Hong Kong on Tuesday, saying that he was ready to listen to suggestions regarding the One Country, Two Systems agreement, which guarantees the city’s autonomy. “I come with the care and love of the Central Government… I believe my visit will enjoy fruitful results,” he told reporters. Zhang also mentioned the victory in fighting against the SARS pandemic in 2003 when he was a top official of Guangdong. But Law said Zhang “brought SARS into Hong Kong,” which caused deaths and injuries to the city. Zhang, China’s no. 3 official, will head to Government House for dinner with Chief Executive Leung Chun-ying on Tuesday evening, ahead of a forum on Wednesday on Beijing’s One Belt, One Road initiative. Explainer: The US treats Hong Kong as a ‘separate territory’ for trade purposes, but for how long?